Natural active ingredients for temporary relief of pink eye symptoms. New name, same trusted formula! Irritated Eye Relief is now Pink Eye Relief. When your family members get pink eye, give them gentle relief with Pink Eye Relief. Similasan eye drops stimulate your body's natural ability to temporarily relieve symptoms without potentially irritating ingredients. Many other eye drops have vasoconstrictors that may actually worsen the symptoms of bloodshot eyes if used more than directed. 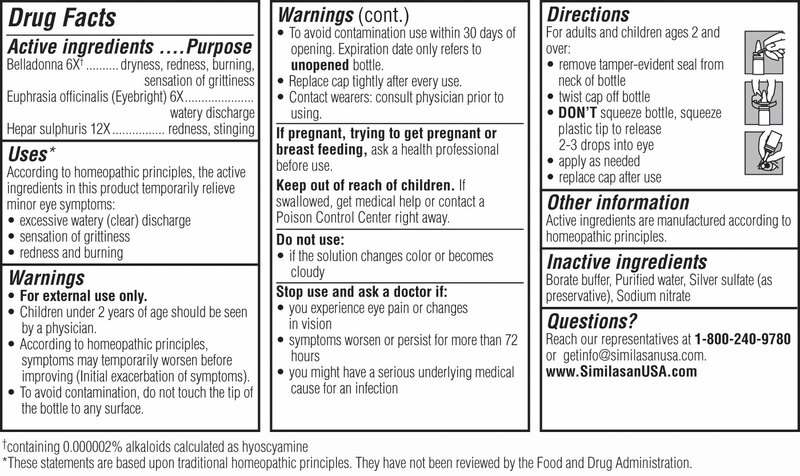 With Similasan you can feel good about helping your family feel better without the use of harsh chemicals.